AILBE McCORMACK | MISCP, Dip Physio,MSc (Manip Therapy), PG Dip Sports Phy, Lic. 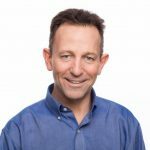 Acupuncture: Ailbe has 34 years of experience, working as an international level sports physiotherapist with the IRFU, as well as World champion and Olympic gold medallists at Crystal Palace. He has worked with some GAA All-Ireland club and county winners, an international hockey team and a professional rugby league team. Ailbe specialises in manual therapy treatment, acupuncture and exercise re-education programs. As an ageing sportsman, he still finds time for regular road biking, playing occasional tennis and kayaking the Liffey descent - trying not to fall in! Ailbe graduated from Leeds School of Physiotherapy in 1984 and completed postgraduate qualifications in Sports Physiotherapy (Curtin University, Perth, Australia), a Masters in Manipulative Therapy (Queensland University, Australia), and a Licentiate in Acupuncture (British School of Acupuncture). Since 1998, he has worked with the Irish Rugby Football Union. Ailbe was the first full-time physiotherapist for the Ireland Rugby Team, travelling to the 2003 Rugby World Cup and the 2004 Rugby 7’s World Cup. Other sporting involvement includes GAA at club level with Corofin (All-Ireland Club winners) and county level with Galway. He was also responsible for supporting the Dublin-based players of Mayo, Cavan and Laois. While at the National Sports Injury Clinic at Crystal Palace London, he worked with many international athletes. He has been team physio for both professional rugby league and Aussie Rules clubs. His experience even includes sports teams as diverse as lacrosse to ultimate Frisbee. Ailbe is a specialist in hands-on manual treatment working on joints muscles and soft tissues to restore correct movement patterns. He has lectured in Australia, USA, UK and Ireland on sports injury and orthopaedic issues covering the shoulder, groin, knee, ankle and foot. He is currently an external lecturer in sports physiotherapy at University College Dublin and the Royal College of Surgeons Ireland. 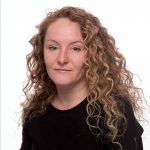 URSULA BROOKS | MISCP B.Physio, MSc Sports Med, Cert Orthopaedic Manual Therapy, CSCS: Ursula graduated with a BSc from UCD in 1998. After graduating, she worked for the HSC covering orthopaedic trauma and elective surgery, cardiac and stroke rehabilitation, women’s health and paediatrics. She has been working in private practice since 2002. 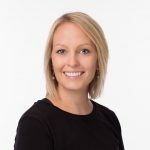 In 2003 Ursula completed a Master’s degree in Sports Medicine from Trinity College Dublin and in 2006, she attended Curtin University, Perth, Western Australia where she obtained a Certificate in Orthopaedic Manual Therapy. Through the National Strength and Conditioning Association (USA), Ursula is a certified strength and conditioning specialist (CSCS). She played Gaelic Football for many years at senior inter-county and provincial levels. She has been involved as a physiotherapist with numerous Gaelic football, soccer and rugby teams and has treated athletes of all ages and abilities. She has been working with the Football Association of Ireland (FAI) since 2003, and is also involved as physiotherapist with the Irish Amateur Boxing Association (IABA). She is also registered with the Irish Institute of Sport for the treatment of elite athletes and has achieved level III Sports Physiotherapy Accreditation from the Irish Society of Chartered Physiotherapy (ISCP). Ursula's areas of interest include sports-related injuries, pre-and post-surgical exercise and rehabilitation, overuse injuries, spinal pain and dysfunction, dry needling and western medical acupuncture. FIONN DALY | MSc. BSc.Physio, MISCP: Fionn graduated from University College Dublin in June 2010 and joined Ranelagh Physiotherapy Clinic in April 2013. He also completed a Masters in Sports and Exercise Medicine from Trinity College, Dublin, graduating in 2018. Fionn is currently the head physiotherapist at Wanderers F.C. and St. Michael's College, Ballsbridge. Fionn has worked at international level with the Irish Touch Rugby Team. He was the lead physiotherapist to St. Patrick's Athletic football club. He also works closely with triathlon, athletics and cricket clubs. Fionn’s area of interest is rehabilitation with an emphasis on strength and conditioning. He believes athletes from all levels should take an active part in their rehabilitation program. DOMINIC HOBAN | MISCP, BSc (Physio), MSc (sports): Dominic graduated from La Trobe University, Melbourne, Australia in 2001. He has a Masters in Sports Physiotherapy (University College Dublin) having also completed further training in dry needling, and is a clinical Pilates instructor. He has worked in and gained valuable experience at rehabilitation centres and private practice in Australia and Ireland. 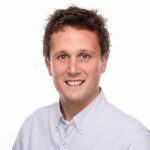 In addition to his work at Ranelagh Physiotherapy Clinic, he has worked with various local, national and international level sporting teams, including the IRFU Women’s team and the Irish U/19 cricket team. Dominic has competed at club and university level in basketball, athletics and Australian football, and currently competes in multisport races such as Gaelforce, involving running, cycling and kayaking. An area of special interest to him is athletic sports taping. He lectures postgraduate and undergraduate students at UCD in this speciality. 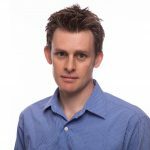 Dominic treats all musculoskeletal conditions and his areas of interest include running injuries, with emphasis on hamstring damage, ergonomics and postural correction. 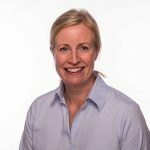 MARY KENT | MISCP, BSc Hons (Physio), PGDip Sports and Exercise Medicine, Lic Acupuncture: Mary graduated in 1990 from Trinity College Dublin with a BSc in Physiotherapy. She followed this with a Diploma in Sports Medicine (Trinity College Dublin) and is a qualified Acupuncturist with her Licentiate in Acupuncture (British School of Acupuncture). Mary brings over twenty-five years of extensive physiotherapy experience in hospitals, community and private practice, and Sports Medicine. She established her own private practice at David Lloyds Riverview Club before moving to Ranelagh Physiotherapy Clinic. Her specialist interests are lower limb and foot biomechanics with orthotic prescription and casting skills. 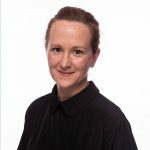 Mary is the lower limb, foot and ankle expert at Ranelagh Physiotherapy Clinic, and specialises in biomechanical assessment and orthotic prescription. Her services are in high demand from elite athletes to post-operative patients, as well as those struggling with foot pain in their daily lives. AISLING MILNE| Qualified Yoga Instructor, RGN: Aisling has practiced and taught yoga for many years dating back to 2000. She has completed 500-hours of teacher training, in both Dublin and New York, and is also a qualified nurse from Trinity College Dublin. After completing a 200-hour teacher training with Ciara Cronin in the Yoga Room, Aisling moved to New York to expand her yoga experience. Aisling studied at Yoga Works Soho to complete a 300-hour teacher training and went on to complete specialist training in children’s and pre-natal yoga at the children-only yoga studio, Karma Kids. Aisling uses her nursing experience to modify positions to make yoga accessible to everyone - regardless of fitness, flexibility or injury. Her Vinyasa-style classes focus on alignment, but with many variations they remain challenging and the mat becomes a safe space for the yoga student to enjoy practicing. The individual needs of Aisling’s students inspire her to evolve her classes - no two classes feel the same. KIM MAGUIRE | Practice administrator: Kim joined the practice in 2009. She brings a wealth of administrative experience, kindness and understanding to the clinic. She is the breath of fresh air you will meet when you first come into Ranelagh Physiotherapy Clinic and the person who will co-ordinate your appointments in the clinic - and also if you need to go on to see another medical specialist outside of the clinic. Kim is our go-to person when you need to get sorted!